Creating a successful small business marketing strategy can feel like an uphill battle. In this mega-guide, you’re going to learn how to create a small business marketing strategy that tackles these two key challenges. From setting the groundwork to tapping into the power of Google and social media, you’ll have everything you need to grow your business and achieve your revenue goals. You wouldn’t climb a mountain without a map. So why grow your business without a plan? In this chapter, you’ll learn how to understand your customers on a deeper level to truly appreciate their pains, motivations and goals. When you have this information, you can create customer-generating marketing messages that will show that you truly get them. What’s the single most effective way to understand your customers? The answer: talk to them. Customer interviews are a mainstay strategy among the tech startup world. And yet it’s vastly neglected among small businesses. For some, it can be daunting. But it doesn’t have to be! Your salespeople can ask your customers why they’re considering your products or services and why this challenge is important to you. Your customer support teams can ask why they decided to do business with you and what the biggest benefits of using your products/services are. And you can pick up the phone and talk to your best, most loyal customers (which will show you care about them and boost loyalty). How do you feel about using our product/service? What is the primary benefit you get from using our product/service? How would you feel if you could no longer use our product/service? Who else do you feel would like our product/service? How could we improve our product/service to better meet your needs? Where do you go for information on [relevant topic]? What people do you trust for advice on [relevant topic]? What challenges are you trying to solve in your job day-to-day? The last two questions will help you find out where they “hang out” online and the blogs/publications they read. Of course, customer interviews aren’t the only method of learning more about your customers. If you have an email marketing system in place, you can send your list of customers and subscribers a survey to find out more about them. Don’t have an email marketing system in place yet? Don’t fret -- we’ll cover this in the next chapter! So, what sort of questions should you be asking? Unlike customer interviews, you should use more multiple-choice questions than open-ended questions. According to a study by OpinionLab, 52% of consumers say they wouldn’t spend more than three minutes filling out a survey. Typically, the more open-ended questions you use, the more people will abandon the survey before completion. How well does our product meet your needs? Which 3 features are the most valuable to you? How would you rate the value of the product? As you can see, these questions give you an understanding on customer demographics and their level of satisfaction. From here, you can build a stronger picture of your customer segments. There’s a huge amount of data on your audience available in digital form. This provides more “quantitative” insights you may not generate from interviews and surveys alone. This can help direct your content marketing and social media efforts later on. By understanding the consumer trends, you’ll be able to create content and messaging that resonates with your customers. With all this information at hand, it’s time to profile your customers into relevant groups. Group your customers by common traits, goals and pains. Start with demographics such as gender and age range. As you begin to collect more insights on your customers, add more specific characteristics (e.g. their goals and motivations). With a clear understanding of your customers, it’s time to build out a marketing strategy for your small business. The rest of this guide is dedicated to showing you how to put it all together, as well as the actionable tactics to do it right. Before moving on to specific marketing channels, it’s important to get a foundational piece in place. Your website is the engine that will drive customers to your business. It’s what potential customers will visit when researching your business. When done properly, it can be a customer-generating engine that works on autopilot. Awareness: Generate attention by educating your audience. Do this with value-driven and entertaining content that focuses on both product-related and non-product related pains. Consideration: Foster a stronger relationship with prospects by nurturing them with more product-related content. This is usually done with email marketing that “drips” content over time. Conversion: At this stage, it’s your job to convince your audience to purchase from you. Do this with offers and discounts. Create a sense of urgency to compel them to take action. Loyalty: You’ve successfully converted your audience into customers. Now, your job is to foster customer retention and loyalty. Delight your customers at every opportunity. Keep providing value-driven content to show that you care. Advocacy: Take customer loyalty to a whole new level. Advocates of your brand are those who spread the word about your business without you needing to ask. Keep giving value and, over time, you’ll have an army of ambassadors who send referrals on a regular basis. In each chapter, you’ll learn how to create the message, content and creative that tackles each stage of the funnel. Your website acts as the hub that brings it all together. Many business owners fret over having a beautiful looking website. And while design is important, it’s not the primary goal of your website. Your website must be designed to generate leads and customers. Not to impress people with its slick design. This is what we mean by “conversion-driven.” The function is to turn visitors into customers by getting them to take action. This means making a purchase or exchanging their details for value. Value proposition: The top of your home page must outline your value proposition and its benefits. This should be distilled into a single headline (and a subheader). Social proof: Testimonials from happy customers creates an air of accountability. It shows that people vouch for you and your business. You can also do this with company logos (if you’re in the B2B space) and logos of publications you’ve been featured in. Calls-to-action: Create eye-popping buttons that stand out to compel prospects to take action towards the next step of the funnel. Educational content: Not everyone viewing your homepage will be ready to buy. So create a space to offer educational content in the form of ebooks, blog posts and videos. We’ll cover this in the next chapter. Benefits: Outline the different benefits and features of your offering throughout the page. Wrap these around common customer challenges in order to make a bridge between their problem and you as the solution. Imagery: Words tell but stories sell. The best way to tell a story is through visualization. Include supporting images of your product or service in action. What can/should I do on this website? Provide educational material for those at the awareness stage. Include clear calls-to-action for those who are ready to buy now. Whether that’s to “Buy Now,” “Book a Consultation” or “Book a Room”, the action must be clear. Of course, not all visitors will be ready to take action right away. So how do you turn visitors at the “awareness” stage into new customers? The answer: nurture them with email marketing. By offering something in exchange for a visitor’s email address, you can send them educational content by email to nurture them further down the funnel. Calls-to-action: These can be placed on your home page, blog posts, social media profiles and other pages on your website. The hook: What are you offering in exchange for a prospect’s email address? This can come in the form of free content, discounts, a trial of your service or even free product. Emails: Once you’ve generated a subscriber, they should be added to a workflow. These workflows “drip” emails over a certain period of time, automating your nurturing activity. Content: These are the blog posts, images and videos that support your emails. As you’ll soon learn, each piece of content you create must be mapped to each stage of the funnel and specific customer personas. Tools such as MailChimp and ActiveCampaign are powerful platforms that can help you create automated workflows. With your conversion-driven homepage set up, it’s time to build strong relationships and attract new customers. Creating value-driven content is one of the fastest ways to add value upfront, build relationships and foster advocacy. Here’s how you do it. Your blog can be an effective platform to generate new customers and leads. Not only that, but it can be a platform to nurture subscribers and foster loyalty over the long term. If you’ve ever used Google to learn how to solve a specific problem or ask a question, chances are you were driven to a blog post. In fact, you’re reading one right now! The fact you’ve made it this far is testament to how effective they can be. These are specific challenges that are being searched for by their target audience. By getting in front of potential customers when they’re looking to solve a problem, it’s likely they’ll choose Benjamin Franklin when looking to buy plumbing services. When writing a blog post, ensure that you include several examples and plenty of imagery. Depending on your industry, you may need to backup your advice with data and statistics. You should also optimize your content for Google. By conducting keyword research to uncover relevant keywords, you can generate more organic traffic to your blog posts. You’ll learn more about how to do this in the next chapter. Blog posts are great for educating those at the awareness stage. But how do you get them to take action? By offering lead magnets. The lead magnet you offer will depend on your business type. For example, if you’re a retailer, it would make sense to offer free discounts or product. However, if you’re offering a professional service with a long sales cycle, you’ll need to educate leads before they’re ready to make a decision. Ebooks and whitepapers are the best way to do this. Regardless of format, the purpose of your lead magnet is to encourage action - whether this is to buy or to build a relationship. The topics you choose for your content will depend on which stage of the funnel your customers are at. Awareness: People are constantly searching for ways to solve their problems. Provide product-related and non product-related content in the form of how-to blog posts etc. Consideration: Focus on product-related content that either convinces them to buy (discounts and offers) or educates them further on a relevant challenge (ebooks and whitepapers). Conversion: This content leads to the conversion. For short sales processes, these would involve offers and discounts. For businesses that require a lot of evaluating, these will come in the form of pricing tables, comparison charts and proposals. Loyalty: Once you’ve generated a customer, it’s time to retain them. 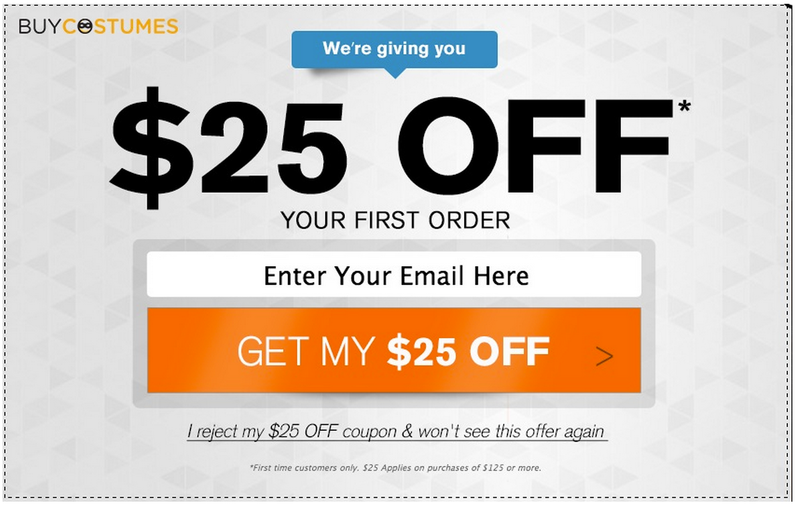 Do this with newsletters, exclusive offers and more value-driven content. Advocacy: Want to turn customers into raving fans? Offer referral programs that reward them for their advocacy. Invite them to exclusive events and offer your top 10% customers an offer that nobody else gets. Speak to your customers and figure out what their challenges and needs are. Turn this into value-driven and entertaining content. This is how you build long-term relationships. Google is one of the biggest sources of traffic for all businesses. No matter your business type, increasing organic SEO traffic can be a gamechanger. According to BrightLocal, 86% of consumers rely on the internet to find a local business. Here’s a quick crash-course in generating more search traffic to your business. Targeting the right keywords is foundational to any successful SEO campaign. Navigational: These usually involve searches for a brand name in order to get to a specific website e.g. those searching “Facebook” are trying to navigate to Facebook. Look for keywords that have a high search volume but low competition. These will be your target keywords. Include Google Posts: These are images, events and articles that appear next to your local listing. Use a consistent NAP: NAP stands for Name, Address and Phone Number. These should be consistent across your website, My Business listing and anywhere else you’re listed. Generate reviews: In SEO, reviews are considered to help local listings. The more reviews you have, the more likely it is you’ll appear at the top of Google. Ask customers to leave you a review on Google whenever the opportunity arises. Further reading: Here's our complete guide to setting up Google My Business Listings! Now you have your target keyword, it’s time to optimize your website to rank for them. On-page SEO means optimizing the content on your website for your target keyword as well as having technical aspects in place, such as a good site speed and strong security. First, make sure you have a single primary keyword for each page. For example, if you’re a thai restaurant in the New York area, “thai restaurant new york” would be a good target. Then, make sure your target keyword is found in your headline, at least one sub-heading and in the copy of your page. But don’t overdo it! Google frowns upon “keyword stuffing” and it’s unnecessary. Meta data: Ensure your title and meta description includes your target keyword. Wrap it in H1: As mentioned, your header should be wrapped in a H1 tag and must include your target keyword. Use responsive design: Make sure your website is designed to look great on mobile.Include outbound and internal links: Be sure to link to other relevant websites, as well as your own pages. Site speed: Your website shouldn’t take any longer than 4 seconds to load. Any longer and you risk visitors leaving, which sends a signal to Google that your website isn’t relevant for your target keyword. Backlinks are considered one of the biggest factors when ranking a website for target keywords. These are simply “links” from other websites that lead back to your page. Each relevant, spam-free link is considered a “vote of confidence” for your website. More quality links = more votes. Creating amazing content is one of the best ways to generate backlinks. By creating something worth linking to, people are more likely to do it without asking. For example, when writing this guide you’re reading, we noticed that most advice out there provided a few tips without guiding small business owners through the process. So, we aimed to create something better than anything else out there. By creating the best content possible, you’re more likely to generate backlinks and rank for your target keywords. Of course, you need to give it an extra push. People aren’t going to link back to your content if they don’t know about it. Promote on social media: Share content on your Facebook, Instagram and Twitter pages. You’ll learn more on how to do this in the next chapter. Send to your email list: Whenever you publish a new article, share it with your email list. You never know which authoritative figures are subscribed! Guest post: Offer to write an article for other relevant publications. Include relevant backlinks to your content within the article copy. Outreach: Use Twitter to search for people who have shared similar pieces of content. Reach out to them directly and let them know about your new piece. Communities: Facebook Groups, Forums and Subreddits are full of your target audience. Identify these communities and contribute to the discussion. When you’ve become known among the community, share your content with them. No matter your industry, your customers are on social media. Indeed, with over 2 billion users on Facebook, 800 million monthly active users on Instagram and 334 million on Twitter, there are hundreds of audiences waiting to be tapped into. Here, you’ll learn how to develop a social media strategy that works. It all depends on getting the groundwork right first. Your choice of social media platform will make or break your success. Depending on your resources, you risk stretching yourself too thin and wasting time and money. So, what’s the best approach? Find where your customers hang out online most often. Earlier, you conducted customer interviews to learn more about your customers. Part of this is finding out which channels they use to find information. This includes social media channels. The results show you where most of your social shares are coming from. The platforms with the highest number of shares are potential social platforms to target. Choose one or two social networks to go all-in on. This way, you can test new strategies and tactics before scaling up. Once you’ve identified the right platforms, it’s time to start creating content for your audience. Test different formats and measure your engagement rates. Do video posts get more likes and comments than images? Experiment and then do more of what works. Of course, social media also requires you to be social. This provides an opportunity to build strong relationships with your customers and foster greater customer loyalty. So, how do you do this? You must take a reactive and proactive approach. Listen out for people talking about you on social media. Respond to praise and complaints promptly and courteously, and aim to resolve any issues as quickly as possible. These little touches can go a long way. The awareness and brand building benefits far outweighed the cost of a phone. You don’t need to go this far. But it doesn’t take much to build goodwill among your audience. Whether that’s offering free product or simply replying to a Tweet with a bit of personality -- these interactions can go a long way. Sometimes you want to see results quickly. Not just fast, but with a positive ROI. Paid media is one of the fastest ways of doing this. You can test new ad creative, generate results and measure effectiveness fast. In this chapter, we’re going to focus on two of the biggest paid media platforms around: Google Ads (formerly AdWords) and Facebook Ads. Google Ads provide businesses access to the search engine results pages (SERPs) at speed. It works on a pay-per-click (PPC) model, where you only pay whenever a user clicks on one of your ads. These advertisers are bidding on the keyword “plumber new york.” They’re only charged when somebody clicks on their ad. Part of the research phase has already been done. You’ve talked to your best customers and understand what drives them to buy from you. This will fuel the copy you use in your ads. Focused Targeting: If you’re not targeting the right traffic, you won’t get new customers. Keyword research is an important first step. Your ad will appear whenever someone searches for a target keyword, so you’ve got to make sure it’s relevant to what you’re offering. Be sure to only serve ads in the regions you do business in. Ad Structure: Each campaign houses “ad groups,” which contain target keywords and the ads that will be served to those searching each keyword. Ensure you’re grouping relevant ads together for each of your products, services, categories etc. 5. Dedicated Landing Pages: Each ad group must have a dedicated landing page. It must be relevant to the searcher’s query as well as your offering. At time of writing, Facebook has over 2 billion users worldwide. Each user has their own demographic profile and interests.This profile data is what powers the Facebook Ad platform. With granular targeting, you can get your message in front of your ideal customers. Here, I’ll cover some best practices you should follow when setting up your campaigns and creating your ads. Target the right audience: Facebook Ads’ targeting is granular and vast. Use your customer personas to fuel this targeting. Start with simple demographics and create an audience for each of your personas. Dive deep into their interests, brands they follow and even job roles. Test several ad types: There are several ad formats you can choose from. Standard image & text, carousel and video ads are all formats you should experiment with. Test a range of formats to see what resonates best with your audience. Experiment with remarketing: Using remarketing, you can serve ads to your existing customers as well as those who visit your website without taking action. Boost retention and recapture prospects who didn’t buy. For small businesses, customer acquisition and retention are two of the biggest priorities. Without customers, your business is at risk. Using the strategies and tactics shared in this guide, you’re gearing up not only to survive, but thrive and grow. But it all starts with getting the foundations right, and a key understanding of your customers and broader audience. Without this, you won’t know how to find them or which message they’ll respond to. What small business marketing strategies are you testing right now? What’s working for you? Share your experiences with us in the comments below.